Dr. Joanne Martires is a pulmonology specialist in West Hollywood, California. 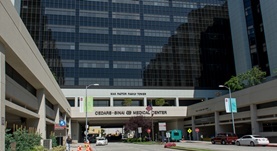 She offers her services at Cedars-Sinai Medical Center. She got her diploma from the University of Missouri - Kansas City School of Medicine. She completed her residency program in internal medicine at Cedars-Sinai Medical Center, where she also did a fellowship in pulmonary disease and critical care medicine. Dr. Joanne Martires has an experience of more than 10 years and she's certified in sleep medicine, pulmonary disease, internal medicine, and critical care medicine. Dr. Joanne Martires has contributed to 1 publications. Right Heart Thrombus in Transit Diagnosed by Bedside Ultrasound. Martires, J. S.,Stein, S. J.,Kamangar, N.; J Emerg Med. 2015 Jan 22.